Melbourne Yacht club sailing classes are open to the public. Students learn knot tying, sailing lingo, care and rigging of the boats, and real life sailing experience - sailing up wind, tacking, sailing downwind, jibing, sail trim, & how to right the boat. 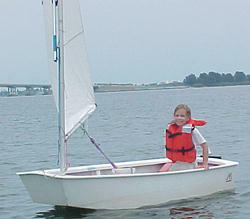 Adult beginning sailing classes consist of classroom sessions at the MYC clubhouse and on the water sailing time. Session dates and times can be found under the [Adult Classes] link listed above. 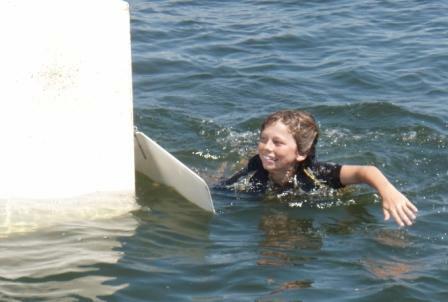 Youth classes meet on Saturdays for land instruction and on the water sailing time. Session dates and times can be found under the [Youth Classes] link listed above. Camps are offered at spring break and select weeks during the summer. 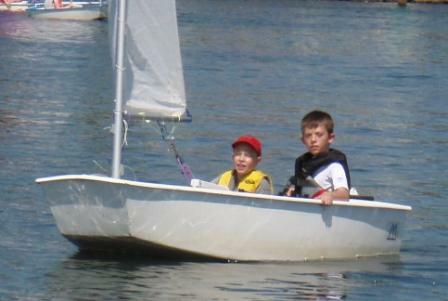 The camps include an introduction to sailing and STEM learning activities related to sailing and marine education. For the safety, enjoyment and education of all students the minimum age is 8 years in the youth classes and camps, and 18 (16+ upon approval of the director and instructor) years in the adult class. Classes include instruction materials and use of MYC's Optimist Prams, sunfish, lasers and Collegiate 420's in the youth sessions and the Collegiate 420s for the adult sessions. Some mixed-ages classes are available such that families can take classes together. Safety is important at MYC. Each student must wear a student-supplied life jacket with a whistle attached when on or around the water. Students should not be afraid of the water and must be able to swim. The preferred style of life jacket (PFD) for sailing is the type III used by kayakers or other water sports. Ensure that the jacket fits the student comfortably while in the sitting position, is easy to get into and will support the student when worn in the water. Students must wear foot gear that will get wet and muddy getting into and out of the boats; inexpensive beach shoes are perfect. Hat, sunglasses, and sunscreen also are a good idea. In the beginning, students must demonstrate that they are comfortable in the water, can swim and can right and climb aboard a capsized boat. As the proper rigging and care of boats is an important part of sailing, parents are encouraged to assist their student at the start and end of each class with rigging, de-rigging, cleaning and storage of the boat and gear they used (don't worry, we will teach you). 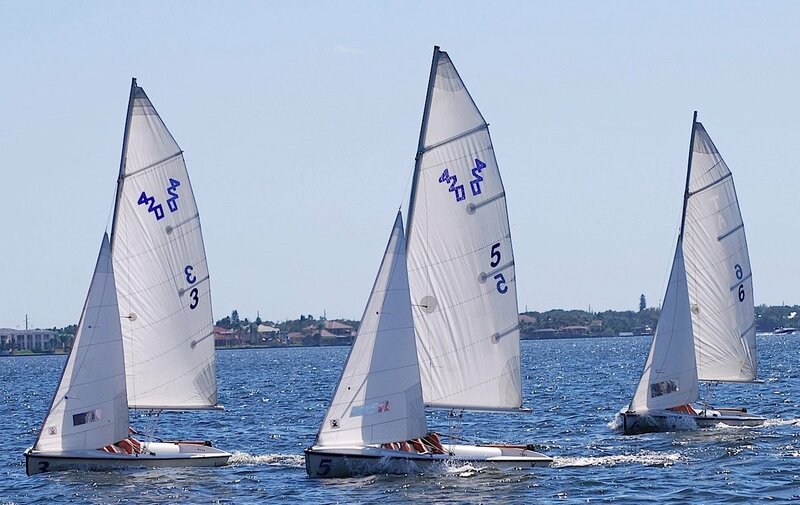 Placement of the youth students within boats (Optimist vs. 420) is at the discretion of the instructor, based on experience, maturity and strength. Non-Refundable Deposits to be submitted with pre-registration. Class size is limited and sessions fill early. No refunds will be given if the weather is bad, but classes will be conducted indoors in that case.